Ask fellow campers about "San Leon Estates RV Park" and nearby attractions. This park looks good on the outside but it is not a good park at all. My kids couldn't play outside. The manager was in a bad mood all the time, never pleasant. We will never stay here again. We camped at San Leon Estates RV Park in a Fifth Wheel. The park is under new management as of June 1. The lady taking over is a people person, very friendly and helpful. The park is clean and improvements are in progress and more planned in the near future. 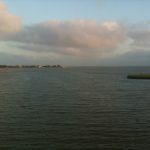 It is close to Galveston and the Kemah Boardwalk. Krogers, Lowes and other chains and places to eat with a bunch of good sea food are just a few minutes away. Rates are the most reasonable for miles around. We camped at San Leon Estates RV Park in a Travel Trailer. I stayed at this rv park and it was clean and quiet with no barking dogs. The park was clean with large 50amp sites for 40' big rigs. Manager lives on site with internet connections in the office, lots of open space for walking and parking. Park has night lighting thru out the park. Laundryroom is available in the middle of property for long term campers.This rv park has the cheapest rates for monthly 240.00 and 120.00 weekly, manager can negotiate on price. I will return later and stay longer to save money. 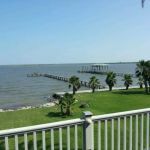 We camped at San Leon Estates RV Park in a Motorhome. This was listed as an Escapee Park with cable TV. When we arrived, we were told the rates had changed. It was $20 per night for everyone. Park has no amenities, small laundry room, and no showers. Mgr. was grumpy, and non-communicative. Would not recommend this park to anyone. We camped at San Leon Estates RV Park in a Motorhome. 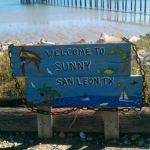 Are you affiliated with San Leon Estates RV Park ?